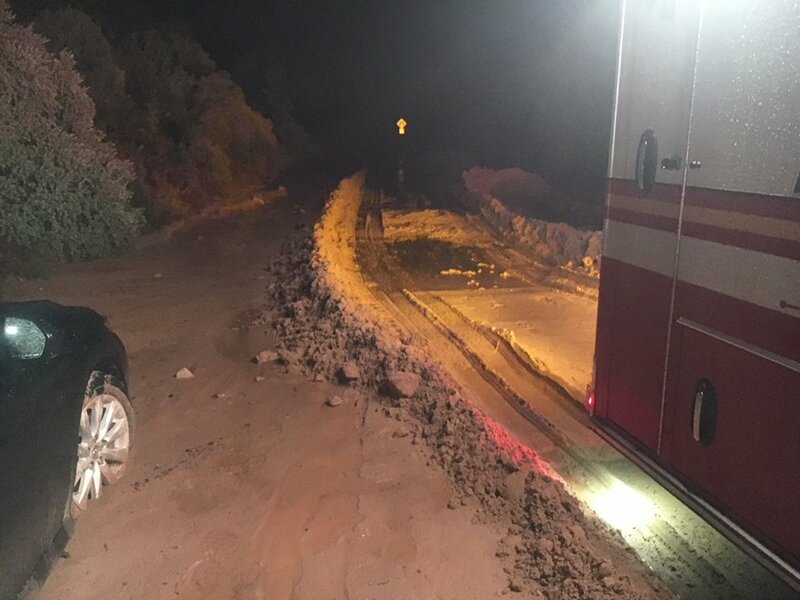 SPRINGDALE – After receiving 3 inches of rain in a short amount of time Wednesday, Zion National Park has indefinitely closed the Zion Canyon Scenic Drive, the road between Canyon Junction and the east entrance and all trails north of the Grotto due to storm damage. Rock slides and flooding occurred on the switchbacks below the tunnel on the east side of the park, according to a press release. Visitors will need to detour using either state Route 59/389 to the south or state Route 14 to the north. While the Zion Canyon Scenic Drive was closed following the slides, as of 9 a.m., the drive has reopened to shuttles and lodge guests. However, shuttles are only able to go as far as the Grotto Shuttle Stop before turning around. Visitors are not allowed to walk the road. Road crews are assessing the damage before removing debris and repairing the roads to reopen. The majority of the damages include mud and small debris, said Aly Baltrus, Zion National Park’s chief of interpretation and visitor services. The park does not currently have an estimated time for when the roads will reopen, but will know more once the damage has been assessed. Updated July 12, 9 a.m. to reflect opening of Scenic Drive.